On Friday we were in for a real treat spending the day with our close family friend, Glenn. We got all shined up for the day’s events. 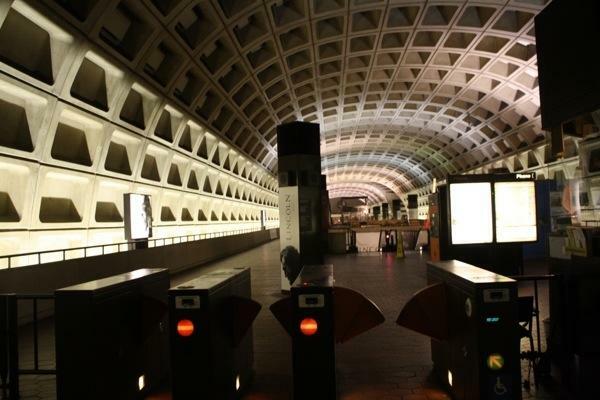 Glenn works in DC and lives in nearby Maryland. 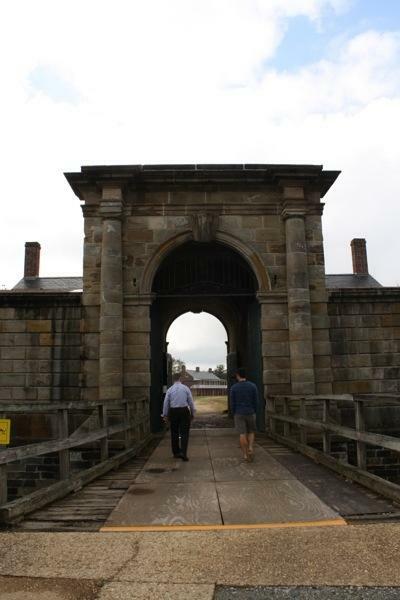 He had suggested we explore outside of the city and we eagerly anticipated the adventure! Glenn met us at the Capital Yacht Club. He braved a dinghy ride for a tour of Rode Trip. We love having guests aboard! After the grand boat tour, we took the subway into the Maryland countryside. 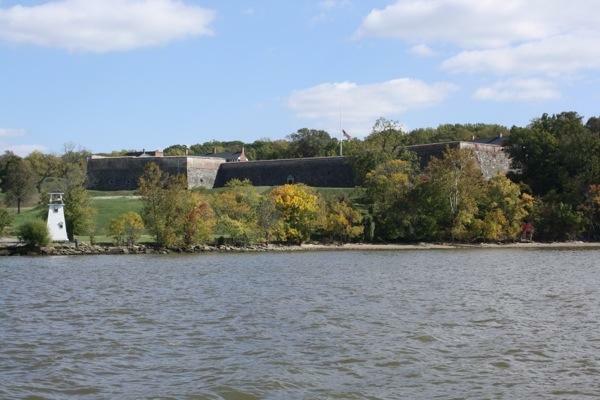 In Glenn’s car we zoomed along toward Fort Washington. 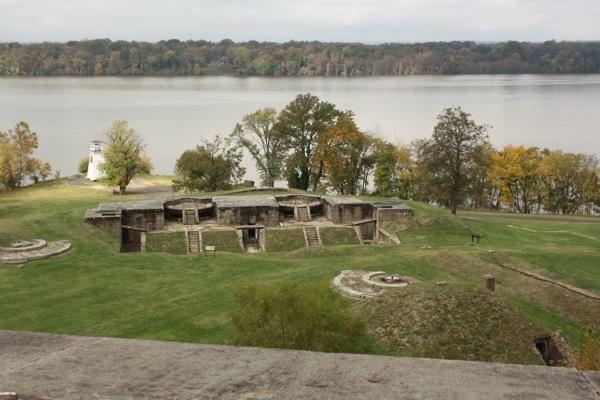 Fort Washington was completed, for the first time, in 1809 in order to protect our nation’s capital. 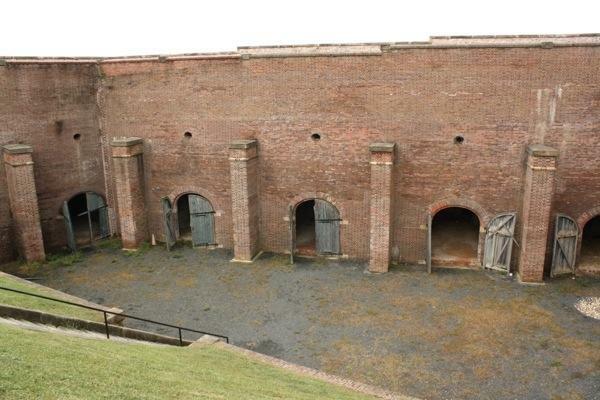 During the war of 1812, the fort was destroyed by our own military fearing it would be overtaken by Brittish troops. 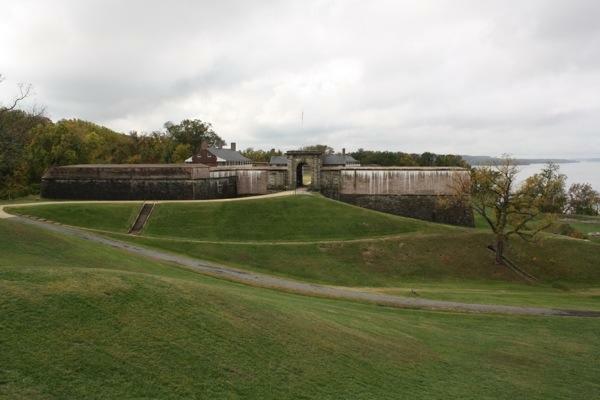 The fort was later rebuilt, remodeled, and has changed hands several times. It never saw battle. 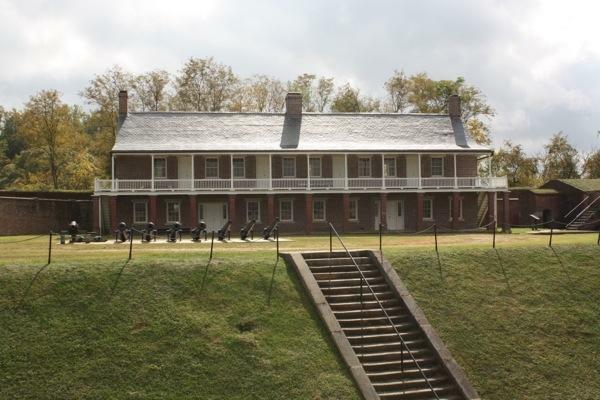 Now under ownership of the Department of the Interior, the fort has become a public park. 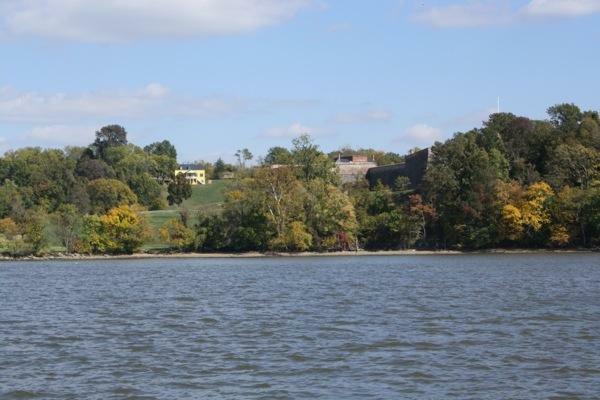 Here is a view of Fort Washington from the Potomac River. 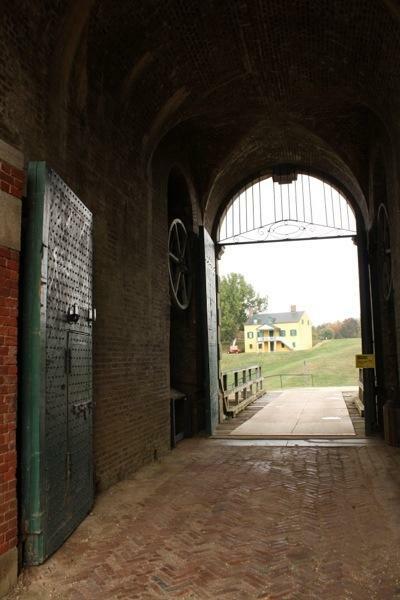 We had fun walking the grounds; peering into living quarters, storage rooms, and dungeons. 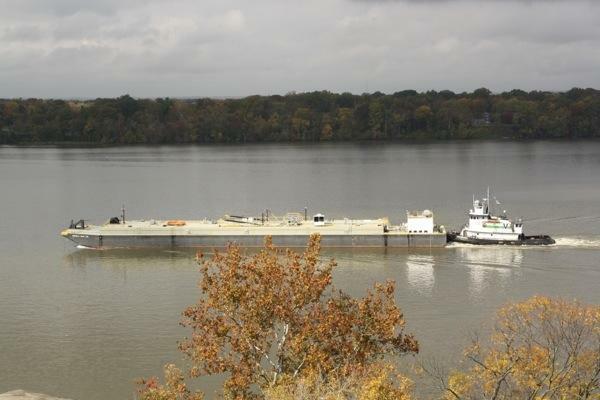 Hard at work on the river, this tug pushes a barge downstream. We stopped for lunch at a quint yet bustling deli. We wanted to have full bellies prior to our stop at the Amish Market to pick out the evening’s meal. At the Amish Market we found all sorts of goodies…stuffed pork chops, brussel sprouts, even peach rings! 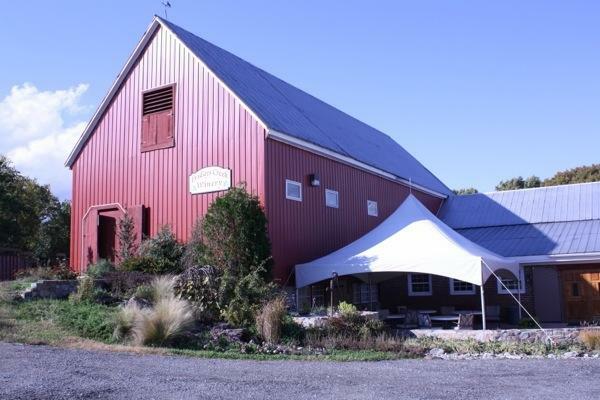 On the way to Glenn’s house we stopped at some local wineries to work up a good appetite for this promising dinner. 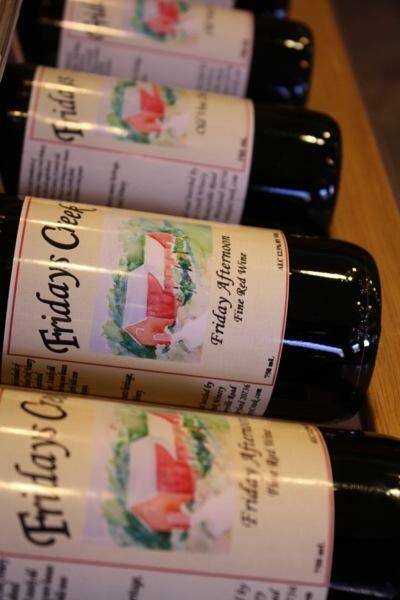 Our Friday afternoon tastings began at Fridays Creek. 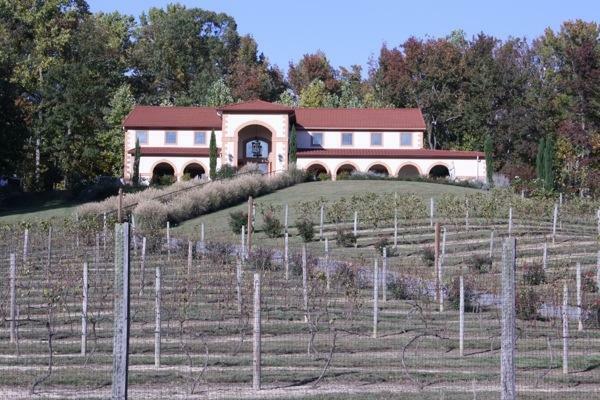 This winery did not score high in the taste department, but did receive 5 stars for atmosphere. 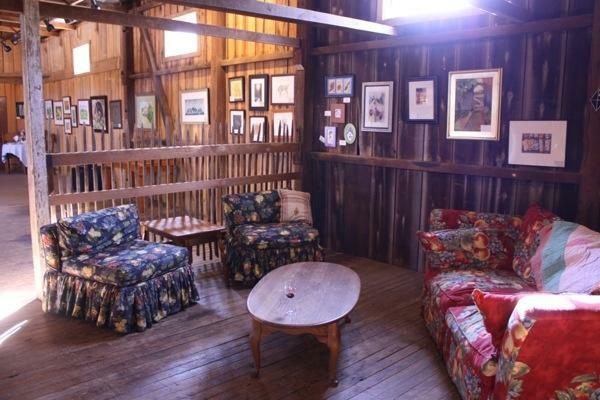 It is located in an old tobacco barn. Lovely! Our next stop, Running Hare Vinyard really took the gold for the day! 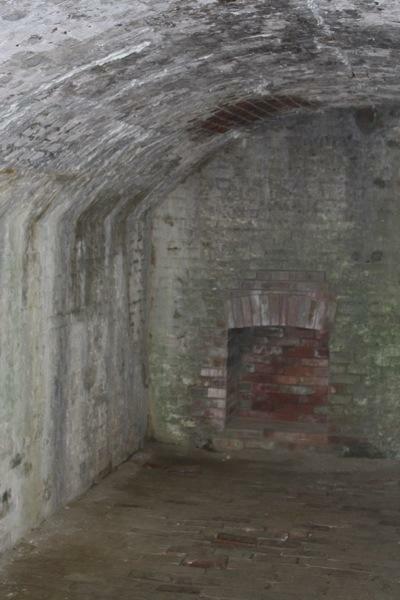 It scored 5 stars for taste and 5 stars for atmosphere. 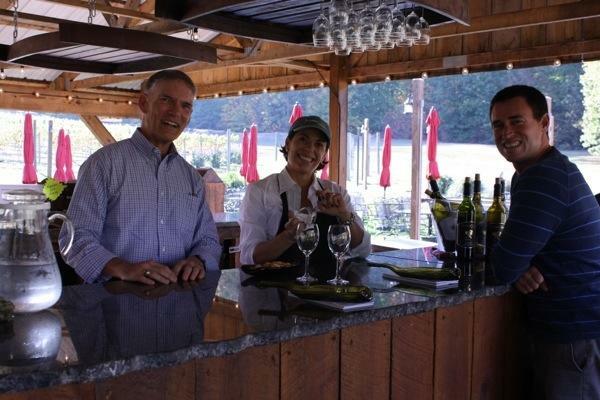 Thanks to Shannon for setting the mood and sharing her wine knowledge at the outdoor bar/tasting room. We enjoyed a bottle of Chardonnay while chatting outside on the warm, sunny afternoon.